Louise had several lovers but finally found true love in the person of the Croatian count Geza Mattachich, a Lieutenant of the Uhlans regiment who was 10 years younger than she was. The two first met at the Prater in 1895, where Geza attracted Louise's attention while he was trying to tame a black stud horse. When the wild horse jumped in the direction of Louise's carriage, she caught a first glimpse of the Count. "It was a sort of electrical shock," Geza later said and according to the then 27-year-old Geza it became an absolute life necessity to see her again. Although he tried for months to find her, he was only able to finally meet her for the first time six years later in Abbazia on the Adriatic Sea. Princess Louise was flattered by his attentions and soon became his mistress. The romance was not very discreet; the Princess showed herself in public with her lover and they both spent a lot of money everywhere. The whole of Vienna noticed the affair, and it did not take long before the ever-intriguing Archduke Ludwig-Victor turned to his brother the Emperor and urged him to discipline Louise. However, Louise still failed to realise the seriousness of the matter. As a result she fell completely from grace with the imperial couple, and her own father chose the side of Louise´s husband instead of that of his daughter. Queen Marie-Henriëtte tried to change her daughter's mind in several letters, urging Louise to end the affair: "In vain I waited for a letter that would tell me that you had exchanged your worldly, vain and useless life for an upstanding family life and that you would try to find happiness by doing your duty, having peace of conscience and a life worthy of a Christian woman. The world, dear child, is hungry for scandals. When you run after your pleasures you will lose the most valuable possession of a woman: her honour. You are taking big risks for a few passing successes of nice dresses, compliments or love declarations. They won't last longer than bubbles of soap! Stop the stories that are circulating, dry the tears of your mother. Open your heart to your best friend, the only one who has good intentions: your exemplary husband of whom any woman would be proud. Ask if he will protect you from yourself! Wash your heart, blinded by the fraudulent dazzle of the world, by experiencing a deep religious faith. When the sacrifice is hard on you, think about our Lord, Jesus Christ. Think how he suffered voluntarily for our redemption. Meditate five minutes about this mystery and you will conquer. Your deeply saddened mother." Louise, however, had other thoughts than those about Jesus Christ or her 'exemplary' husband, and she decided to choose her count, despite everything. She decided that she wanted a divorce from Philip and travelled to Brussels to ask her parents for permission. The king refused the request outright and cynically remarked that a husband could be useful as a cover and that if one were discreet nobody would have to know what happened behind closed doors. Louise, however, did not want to listen to her father and travelled to Nice, where she settled in Villa Paradis with her daughter Dora and with Geza. Prince Philip felt that he had to defend his honour and challenged Mattachich to a duel. Since the athletic Mattachich was an excellent shot while Phillip was short-sighted, this was no match. After Philip's shot missed its mark, Mattachich fired in the air and sent the Prince home humiliated. Due to her financial situation, Princess Louise was forced to sell her possessions in public; everything was to be sold, from her jewels to even her underwear. Prince Phillip felt humiliated by this public sale of his wife's personal belongings; the Emperor was shocked too and urged Phillip to do something about it. As a solution to the problem, Phillip had to buy everything that was sold by Louise, even the undergarments. But this money was not enough to solve the Princess' financial problems. To face this matter Louise signed promissory notes and even forged the signature of her sister, Crown Princess Stéphanie of Austria, when the shops did not accept hers anymore. She was so desperate for money that she even bought jewels on credit and then sold them immediately at half price for cash. When King Leopold II travelled to the Riviera he did not even want to meet his daughter, let alone pay her debts. Prince Philip placed an announcement in the local newspapers that he would not pay his wife's debts either, which led to a group of creditors forcing entry to Louise's hotel room and taking everything that they could find. The couple even lost their horses and Louise's daughter Dora was urged to go to the parents of her fiancé in Germany, so she could escape this life. As Louise and her lover could not stay in Nice and they needed money urgently, they decided to return to Austria in secret. They went to the castle of Mattachich's stepfather in the mountains of Croatia. As the local authorities preferred not to arrest Mattachich in the castle of a powerful local noblemen, they looked for ways to get him away from the castle, to Zagreb. He received a military order to get a medical check-up in the city, which he could hardly refuse. When the couple had arrived in Zagreb their hotel room was searched by the police and Mattachich was soon arrested for embezzlement, lost his title and was sentenced to six years in prison without any evidence. Louise, who didn´t get any support from her children or Belgian relatives, was given the choice: of returning to her husband or being committed to a psychiatric institution - she chose the latter. To give all this a legal framework, a court was hastily summoned that ordered Louise to be locked up in a psychiatric hospital in Purkersdorf owned by Court physician Dr. Pierson. Her Austrian and Belgian relatives were probably relieved that she could not create any more scandals, and they ignored her. Only her sister Crown Princess Stéphanie of Austria kept in touch with her, but had to do so in secret. Nobody else lifted a finger to help her, not her mother Queen Marie-Henriëtte, not her daughter Dora and certainly not her father Leopold II. The King did show some interest in the matter though: he ordered the director of the hospital to "strictly guard this female patient." To prevent Louise from becoming too popular, as Austrian public opinion started to feel sympathy for the princess, she was brought to another institution, Linderhof in Saxony. Although she had a bit more freedom of movement and more comfort, the guards remained as strict as before. The only Belgian relative who paid attention to her in these times was her aunt the Countess of Flanders, who even persuaded Louise's daughter Dora to pay her a visit. Four years after he was sentenced to imprisonment, Count Mattachich was rehabilitated and released due to the efforts of a socialist parliamentarian. After he was released, he immediately travelled to Lindenhof to visit Louise. Once, during a carriage ride Louise saw a cyclist and noticed immediately that it was Mattachich. She did not show her recognition to her escorts, but when she returned to Lindenhof she persuaded a lady-in-waiting to help her. Two meetings in the woods were arranged, but the local police got suspicious and ordered Mattachich to leave the village at once. Louise did not hear from Mattachich for months, until during another carriage ride a boy threw a note onto her lap, which said "Hope." The first opportunity to release the princess was when she was allowed to visit Bad Elster. Mattachich had set up a plot, which was revealed to Louise in her hotel by a butler who gave her the note for which she had been waiting for such a long time: "It will happen tomorrow." That night, at 1 a.m. somebody knocked on the door of her bedroom. She was able to keep her dog Kiki quiet and opened the door, to find the night porter who told her to prepare herself to leave and that he would soon return to collect her. The princess stood next to the door for two hours, until at 2.30 the man returned. Again she was able to keep her dog quiet, and together they walked on tiptoe through the corridor and down the stairs to a side door, where Mattachich was waiting for her. They had to be careful when they tried to get away from the garden, as two guards were talking there. When they had passed, Louise and Mattachich crossed the road to the dark trees across the street where a carriage was waiting for them. They drove to the station and took the first train to Berlin, but only when they reached Paris did they feel free. The nightmare that had lasted for seven years was over. In Paris they lived in an attic like bohemians. The princess again tried to get a divorce from her husband and became completely estranged from her father. When Emperor Franz-Joseph asked the King to pay his daughter's debts, Leopold II remarked that his daughter was dead to him. "You also have to pay for a dead daughter," was the Emperor's sharp reply. Queen Marie-Henriëtte had died two years previously, but her children had not seen a penny of their inheritance yet and their father did not intend to give anything either, so Stéphanie and Louise went to the law courts to ask for half of their father's capital. Mr. Paul Janson represented the princesses in court, which he did with so much passion that the audience would be moved to tears. Still these tears were not enough and the princesses lost. "The King does not even have a heart of stone," a Viennese newspaper commented, "his heart is of gold, which is harder than stone." In response to public opinion Leopold II decided that he could not afford any more criticism of his financial dealings. He sent his attorney, Sam Wiener, to offer Louise an estate near Cologne and an annual sum of 50,000 francs if she would break with Mattachich. Louise, however, refused to abandon her lover and rejected her father's proposal. In 1907 a court in Gotha dissolved the marriage of Louise and Philip. The court marshal in Vienna ratified the ruling, but the Vatican refused to annul the marriage. This divorce provided Leopold with the perfect excuse to denounce his daughter for good, in which he was not alone; even Crown Princess Stéphanie, who could not forgive Louise for slandering the family name in such a way, did the same. The divorce did not solve all of Louise's problems; she and Geza still were in a difficult financial situation and had to move frequently. In 1909 King Leopold II died, but his daughters found out that he had not left them a penny; instead, he left much of his capital to his mistress, the Baroness de Vaughan, and left the rest to a new foundation called the 'Dotation Royale'. Louise and Stéphanie did not respect their father's last wishes and immediately started a trial. Stéphanie gave up after a few years, but Louise, who needed the money even more than her sister, proceeded. Although she eventually lost in court, the government gave permission in 1913 to pay the princesses 6 million francs. But by then Louise and Geza had moved to Germany and the First World War was imminent, so Louise had to wait for 5 more years before she would see her money. Soon after the outbreak of the First World War, Geza was arrested by the German police. Since he was a Croat, they suspected he had sympathies for the allies. When he was released two years later, the couple settled in Budapest, until civil war broke out. When their house was searched by the communists after the revolution, one of them exclaimed, "Here lives a Princess who is poorer than I am." 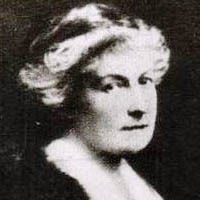 After this Louise and Geza moved to Paris again, where Louise would write her memoirs in which she tried to clear her reputation and in which she took revenge on several people in her life, especially her father. Strangely enough, Louise dedicated her memoires to "the great man, the great king, who was my father." While Louise was writing her memoirs, Mattachich's health deteriorated, and in 1923 he died in Paris. 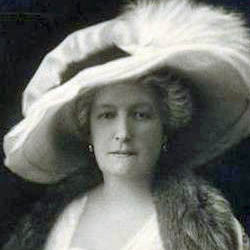 After his death Louise moved to Wiesbaden, Germany, where she died only six months later in March 1924, before getting a chance to see the first edition of her memoirs. While she was dying, Louise held the portrait of her beloved Geza against her chest. "I knew much misery, humiliation and physical pain" she wrote shortly before her death. "But I also know love, and whatever adversities I faced, when you have had real love in your life you can say you truly lived." 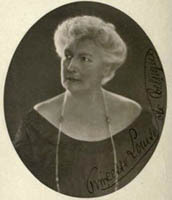 Photos of Louise and her family, public domain. Photo of Palais Coburg by Flickr member Vestaligo and used with permission.